The United Kingdom is not only synonymous with royalty, the Beatles, the famous London Bridge, The Queen, but a whole lot more. Food is also another example of British invasion around the world: ever heard of brunch (breakfast and lunch), fish and chips, high tea, and of course, biscuits. Biscuits is a much-love universal phenomenon that originated from the United Kingdom. Biscuits are eaten as is, or dunked in tea. In our country though, we dunked biscuits in coffee or milk. Of course, when it comes to biscuits, McVitie's is the most beloved UK brand. Coincidentally, it was named "one of the most commonly chosen food products, bought 14 times per year by 89% of UK hiusehold, and placed 3rd overall in the top 10 UK FMCG brands," according to the 2014 Brand Footprint reportt of Kantar Worldpanel, a global leader in consumer rsearch. Credit of McVitie's popularity goes to father and son, William and Robert McVitie. They demostrated passion in baking and made the company intoa major global brand. McVitie's is known for its deliciously baked goods and became a household name since 1830's. In 1892, an employee by the name of Alexander Grant developed a line called "Digestives" which is still popular today. These biscuits are made from whole wheat and is rich in fiber and is a guilt-free snack for the health conscious. This famous global brand is now locally available in leading supermarkets nationwide. Distributed by Delfi Marketing Inc., the variants here in the Philippines are: McVitie's Digestive Original, Digestive Light, Digestive Wholewheat, Milk, and Dark Chocolate. These are also available in small packs so that kids can enjoy them as snacks in school. 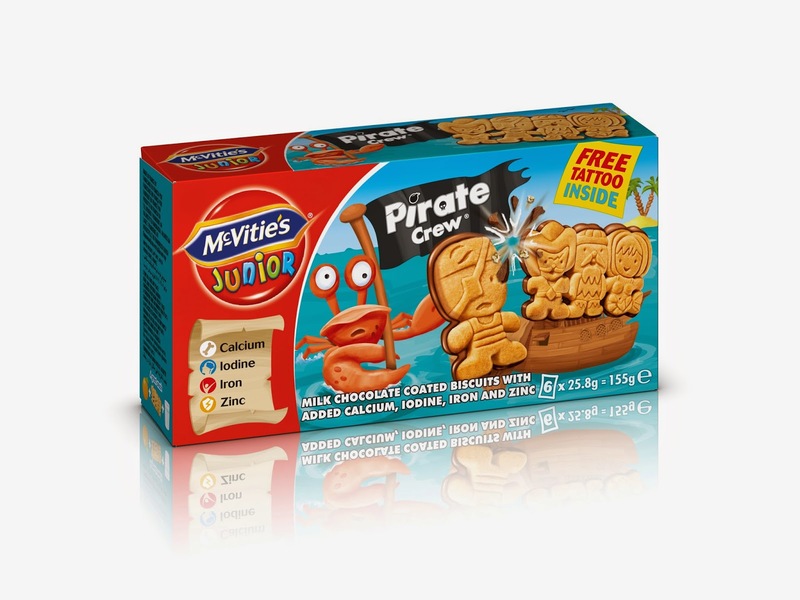 McVitie's for kids teamed up with Smurfs, Sponge Bob Squarepants, Dora the Explorer, Justice League, Teenage Mutant Ninja Turtle and McVitie's Pirate Crew for a much more fun and enjoyable munching experience.